The town's name derives, according to some historians, to its location on the summit of a walnut (Nux) shaped hill, which also appears in the municipality coat of arms. 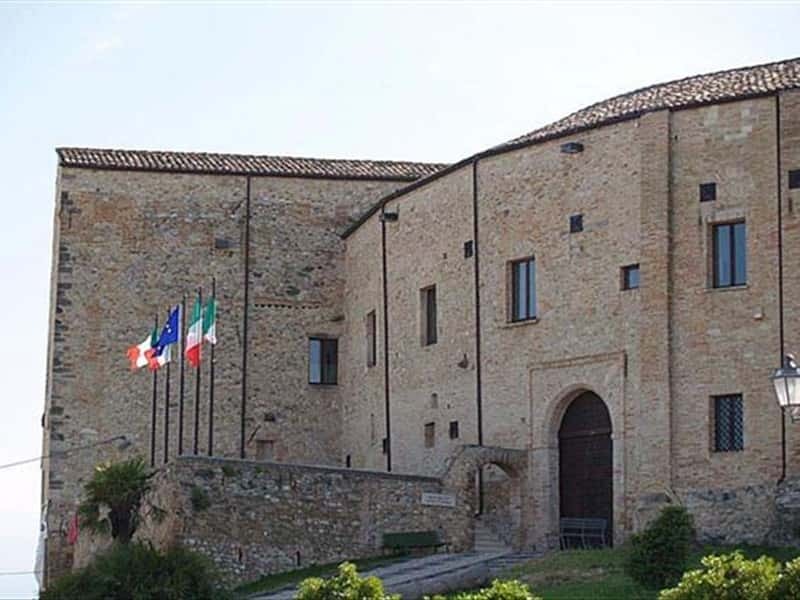 - the castle, recently restored, today houses a Museum of Contemporary Art. The building was edified around the year 1000, to defend the population from the continuous raids of the Barbarians. The defensive structure of the castle is evident by the presence of cellars, traps and a secret passage that leads into the open countryside. The castle, over the years, even after renovations, still preserves the battlements, its lintels, its ceilings, an interior cloister and a gallery lodge. - the enchanting cloister of the former Franciscan convent, now privately owned. This town web page has been visited 25,803 times.